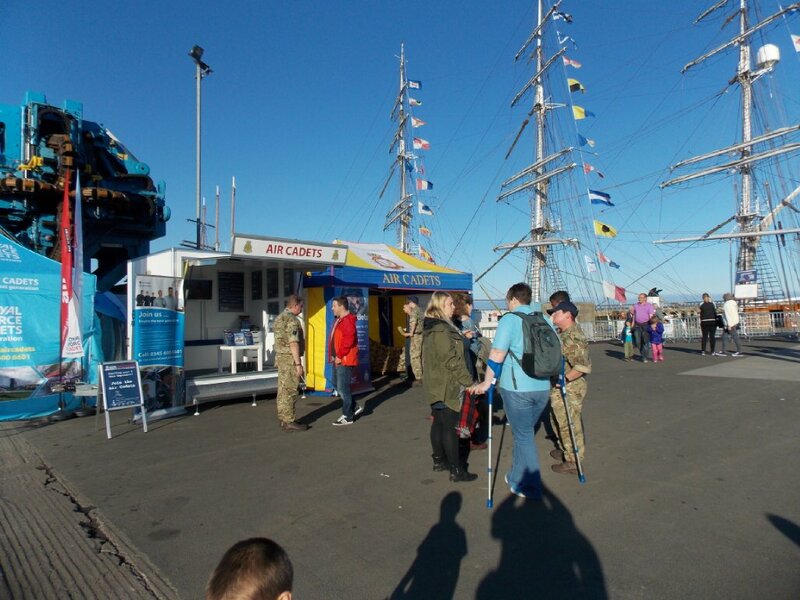 Over the weekend, Cadets and Staff from across the Wing took part in the Tall Ships event at Blyth. The Wing Media trailer and marquees provided the backdrop for Cadets and Staff to tell visitors to the event about our organisation, and encourage some of them to join us! Cadets and Staff attended from Squadrons local to Blyth, including 1000 Blyth Squadron, 2522 Bedlington Squadron, 242 (Cramlington) Squadron and 1110 Ashington Squadron, as well as from further afield, including 131 (City of Newcastle upon Tyne) Squadron, 36 (Hetton-Le-Hole) Squadron, 346 (Tynemouth) Squadron, 1507 (Chester-le-Street) Squadron, 1509 (Blaydon) Squadron, and 1151 (Wallsend) Squadron. Well done to everyone – you put on a great display and were great ambassadors for our Wing! ← DNW Cadets Aim for Gold!